As I’m beginning to plan Ladybugs 3rd birthday party, I’ve found myself adding her hospital friends to the top of the guest list. Not only have these kids been a HUGE part of our lives these past few years, their moms have become a very big part of my life. When you spend day after day in a little curtain enclosed space listening to pompous jr. residents, you need a buddy to vent to who knows exactly what you are feeling. These moms have helped me through so much and I don’t know where I’d be without them. Over these past 3 years, I have learned that other parents of medically fragile/special needs children are far better resources than any other out there. Whether it be for suggestions on the best feeding pumps or emotional support – there is a real camaraderie amongst us. 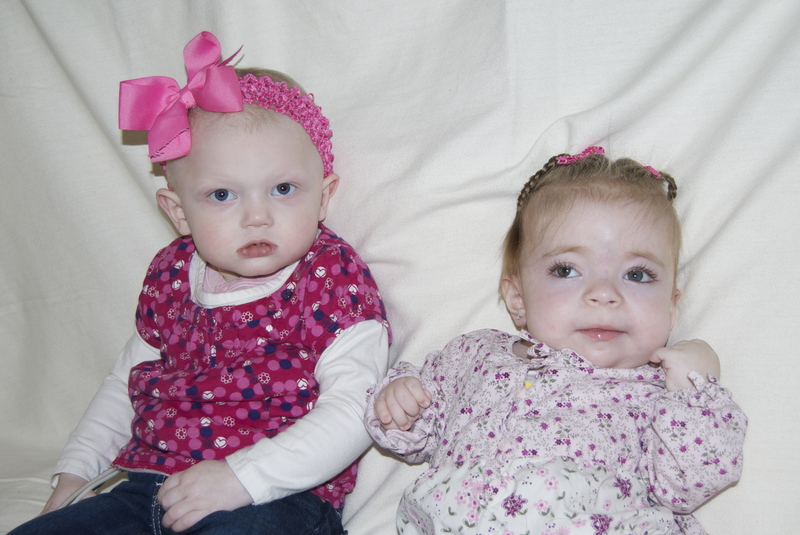 Ladybug first met her BFF Bean when they were barely 2 months old. They were roommates on 3C in Mac Kids and very quickly became known as the little divas on the floor. It has been so amazing to watch these two grow up. Bean is very proud of the fact that her best friend has glasses and a clamp (feeding tube clamp) just like her. The first picture is when the girls shared a hospital stay the 2nd time. 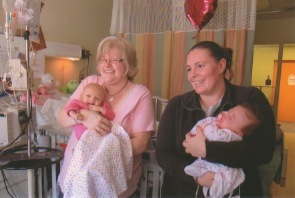 The second picture is from the 3rd hospital stay together where us moms planned a photo shoot with the two girls to pass time. The last picture is from the girls recent morning out to Build-A-Bear. I have to say it was one of the best mornings out I’ve had in a while. 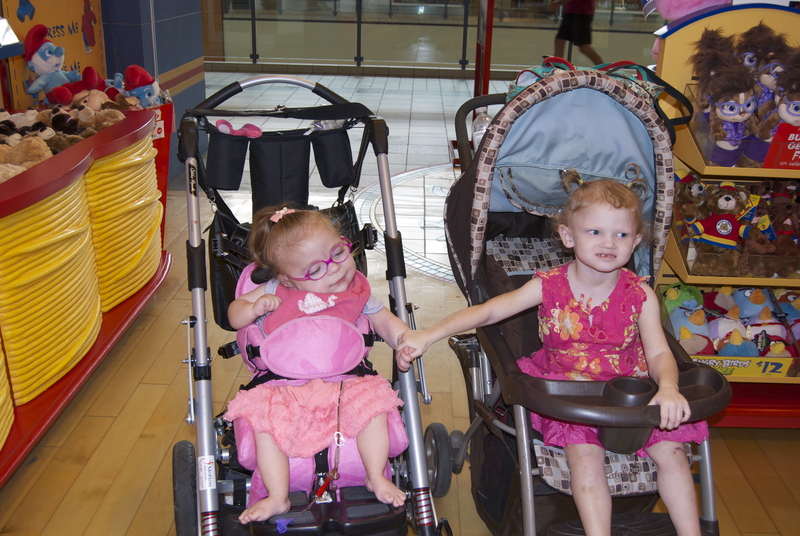 Bean and Ladybug love each other so much and it was wonderful to see them interacting outside of a hospital setting. Bean’s mommy has one of the best sense of humours around, and is truly an inspiration. I love spending time with both of them. The best part for me was after our critters were created, we both brought the girls out to give meds and flush the g-tubes. I say this because it reassured me that I’m never alone in this. These moms are just like me, and I’m grateful to have been given the opportunity to have them in my life. This is Zacky – he is like Ladybug’s big brother and just like Bean has been a roommate at Mac Kids. During Ladybugs most recent hospital stay Zacky stopped by to visit her. She wasn’t feeling well and was a little fussy, so Zacky began to sing Twinkle Twinkle Little Star to cheer her up. As soon as he started singing Ladybug perked up and began to smile. He is an incredibly special little boy who instantly wins over our hearts. Not to mention he has one heck of an amazing mama who has done a fantastic job raising this little man. The picture is an older one so I’m hoping to get some updates in December.